Philadelphia's rising star in the United States and beyond is no mirage, but neither is the city's deepening poverty and returning reputation for violent crime, according to annual report from the Pew Charitable Trusts. This year's "State of the City" report drew a pair of clear-cut conclusions that may have been less apparent in recent years. While the local economy is trending upward, social measures in Philadelphia are lagging far behind. "Even with more jobs and lower unemployment, the poverty rate stood at nearly 26 percent, and Philadelphia retained its title as the poorest of America’s 10 most populous cities," the authors noted in their overview. Almost half of Philadelphia's 400,000 residents living in poverty are actually confronting what's considered deep poverty—an income of less than $10,000, or 50 percent of the federal poverty threshold. Only Detroit and Cleveland have higher rates of overall poverty than Philadelphia. Economic indicators ranging from total jobs to home sales construction all show in positive movement in Philadelphia, though the average local unemployment rate of 6.2 percent still sits higher than national and regional marks. "These bullish economic trends produced stronger-than-predicted revenue flows from virtually every source on which local government relies, including wage, sales, business, property and real estate transfer taxes," the authors continued. The most troubling findings from this year's report pertain to drug overdoses and homicides. An estimated 1,200 people died of unintentional drug overdoses in Philadelphia last year, making for one of the highest drug death rates in the United States. Last year's 317 murders, meanwhile, represent the highest death count since 2012 and 40 more than in 2016. The city's homicide rate of 20,2 per 100,000 residents was fifth among U.S. cities behind Baltimore (55.8), Detroit (39.7), Cleveland (33.7) and Chicago (24). Other long-term charts and figures provided in the report show that Philadelphia's population is increasingly global and more parents are enrolling their children in charter schools. 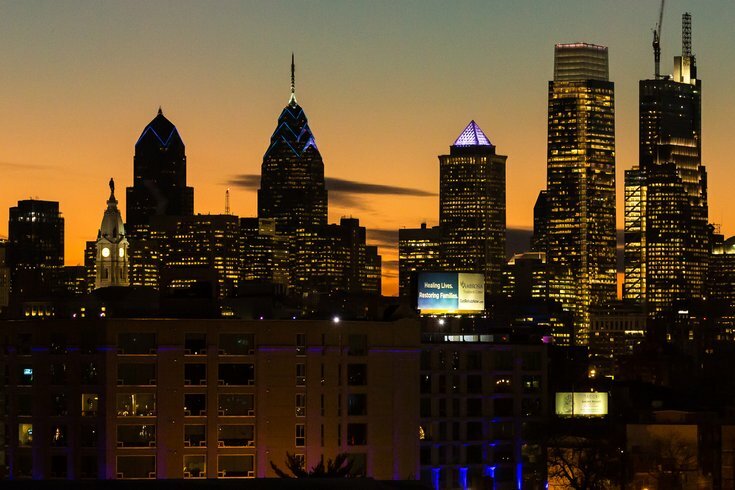 "These economic, social, and demographic data tell us that in 2018, Philadelphia has many reasons to be proud of its recent performance—and not just on the football field," the authors conclude. "But the numbers also indicate that the city faces a set of fundamental challenges, some old and some new, that are reason for deep concern." The full "State of the City" report can be found here.